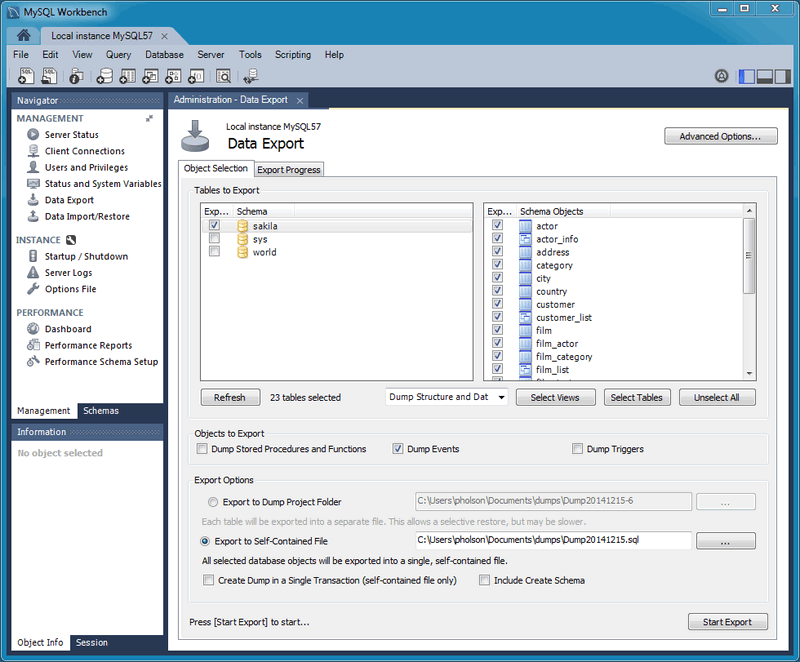 Select the Data Export tab on Workbench this tab allows you to export your MySQL data. Select each schema you want to export, optionally choose specific schema objects/tables from each schema, and generate the export. 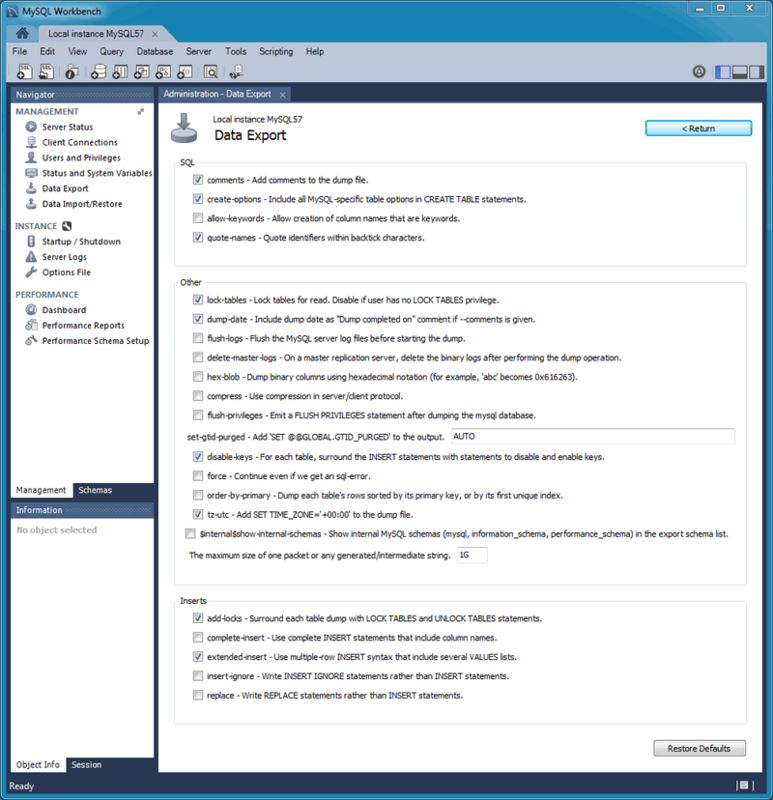 Configuration options include exporting to a project folder or self-contained SQL file, optionally dump stored routines and events, or skip table data. Optionally open the Advanced Options tab that allows you to refine the export operation. For example, add table locks, use replace instead of insert statements, quote identifiers with backtick characters, and more. This functionality uses the mysqldump command. 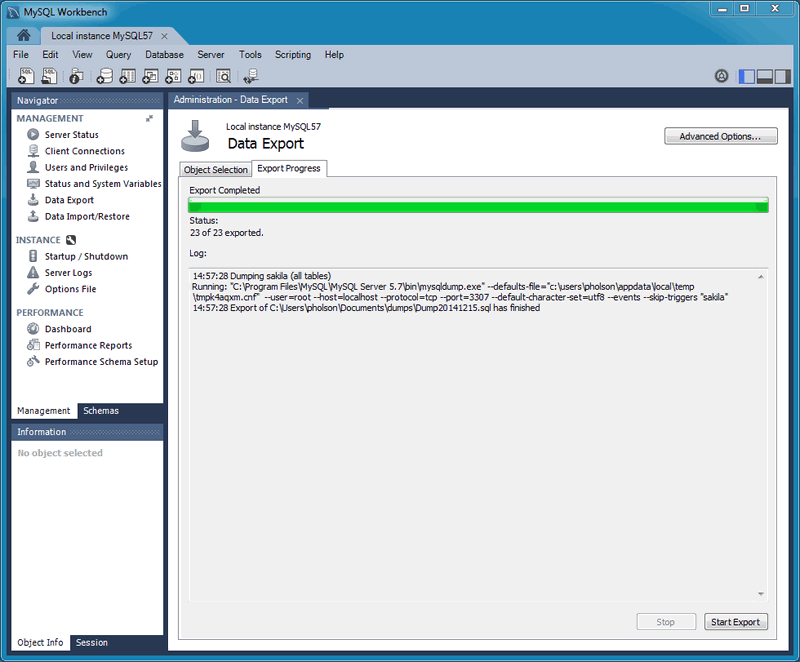 Restore exported data from the Data Export operation, or from other exported data from the mysqldump command. 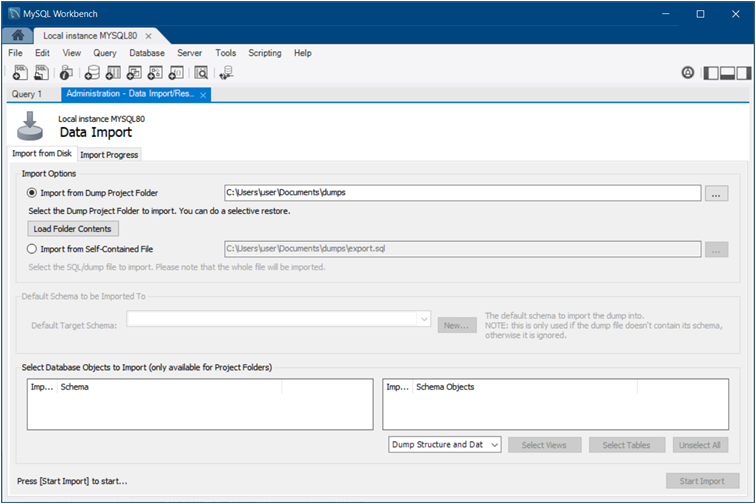 Choose the project folder or self-contained SQL file, choose the schema that the data will be imported to, or choose New to define a new schema.